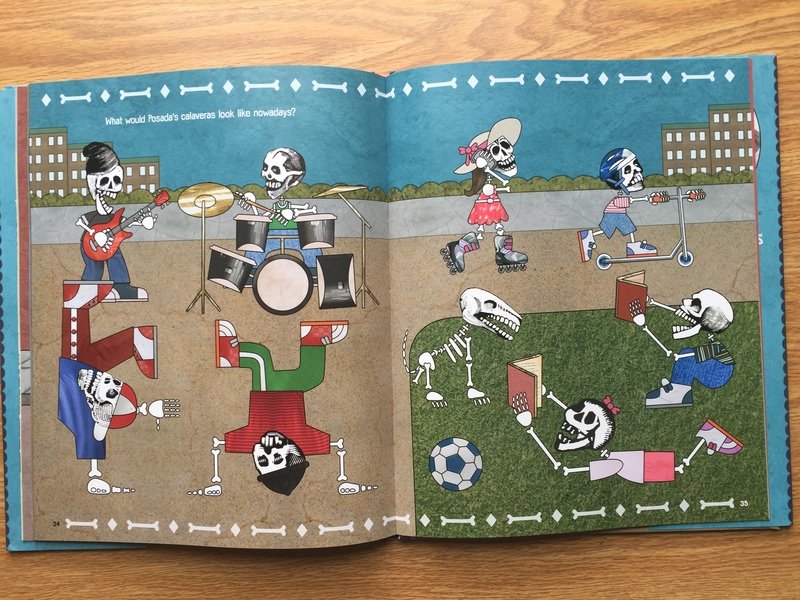 Funny Bones is the story of José Guadalupe Posada the creator of Calaveras, the festive bony figures found in Hispanic culture. The book walks through Posada’s life as he becomes an artist and eventually creates the Calaveras. 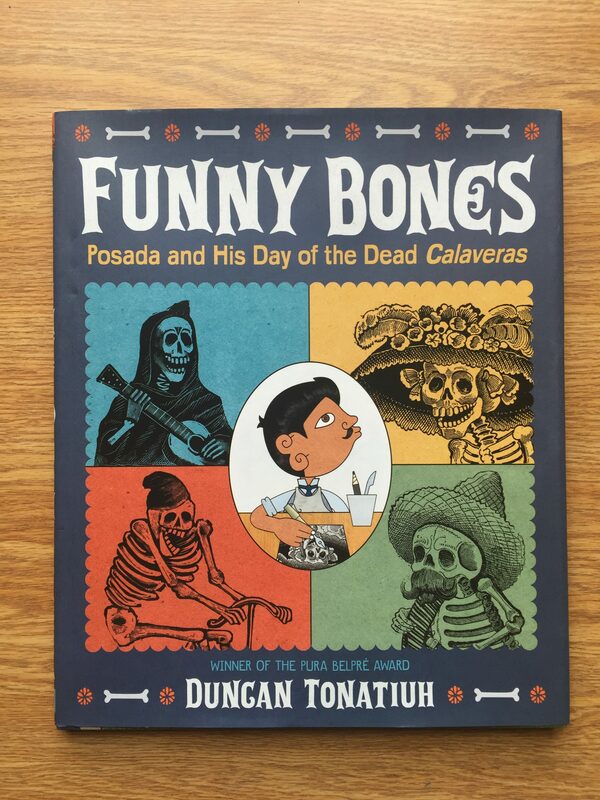 The book discusses the idea that Posada created the Calaveras to show that although we are different on the outside, everyone is the same on the inside. 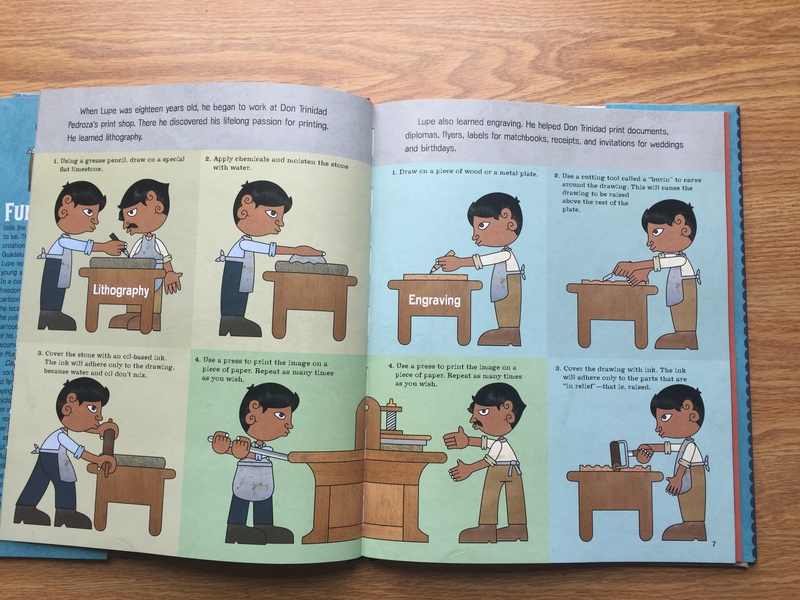 This book is great representation of Latino culture, currently and historically. 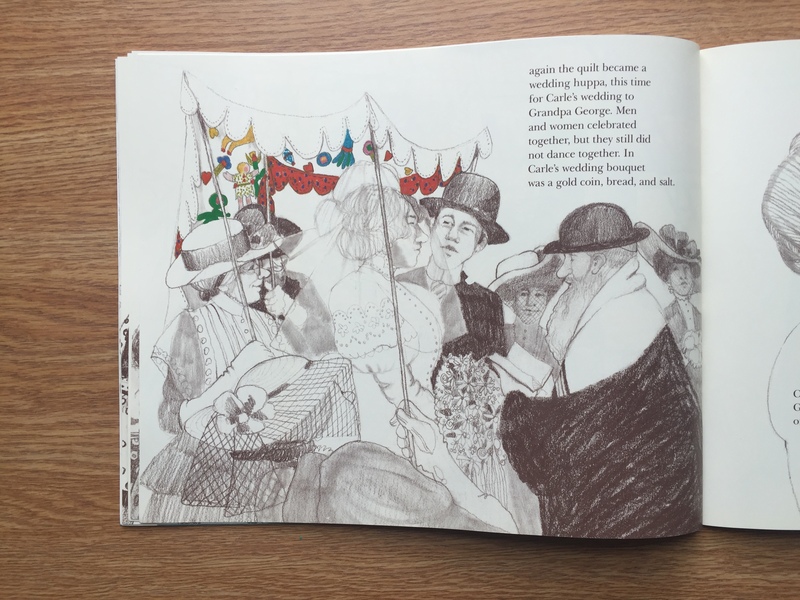 Because the book contains copies of Posada’s actual original drawings along with Tonatiuh’s imaginative figures, it blends the historical cultural representation along with a more current cultural representation. This book also acts as a learning tool for some Spanish vocabulary. Different Spanish words are integrated into the text with a pronunciation guide and a definition. Having these words interspersed throughout the book acts as a view into the cultural context of specific words as well as a learning tool. The illustrations in the book are full of a wide range of colors. While there are many bright colors throughout the story, there is also a balance of earth tones. 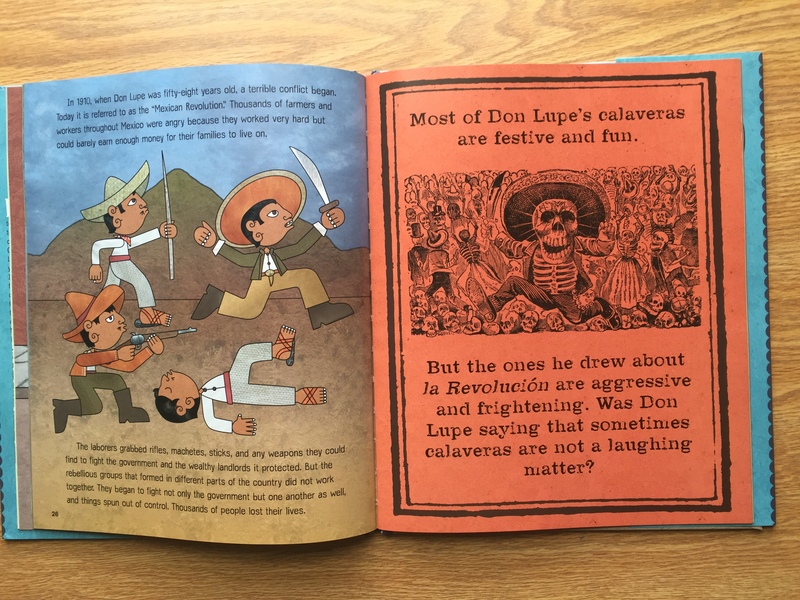 This makes the drawings, although done in an art style that is cartoonish, seem more realistic and helps enforce the real historical events that took place throughout José Guadalupe Posada’s life. Ideologically, this book is full of empowerment and the importance of advocating for change. Posada begins his journey as an art student, but is remembered as an integral influence of change. With his creation of the Calaveras, Posada made a political statement about class divide, which was not something being discussed at the time. The book as a whole is informative about Posada’s life, but also allows for readers to ponder their own life. At the end of the book, the author asks the question “what would Posada’s Calaveras look like now a days?” which leaves room for the reader to apply Posada’s ideas to current life. This book would be a good tool in a classroom to apply Posada’s idea of Calaveras to life today. It would be easy to do an assignment focused around this idea. It is a different way to talk about Latino culture and incorporate different ideology into a classroom. Abuela is the story of Rosalba and her Grandmother who she calls Abuela. The story begins with Rosalba and her abuela going to the park to spend the day. The story continues on a fantastical journey when Rosalba and her abuela get picked up by birds and begin flying in the sky by themselves. They fly over many different parts of New York City and say hello to many people. They continue to float around and visit different friends and family. Eventually, Rosalba and her abuela land by a lake a take a paddleboat ride. 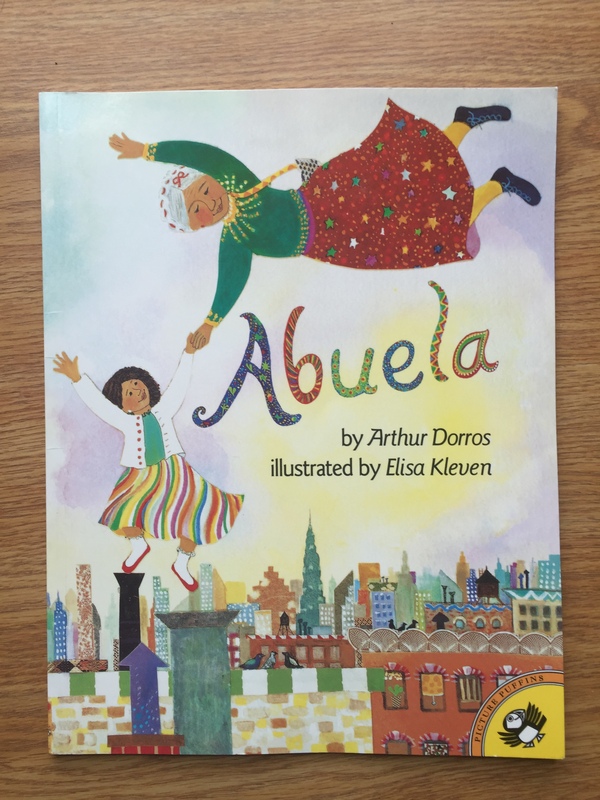 Abuela is a book that is visually very inviting to children. It contains very bright colors in everything, even though realistically the world is not that bright. It also takes care to separate the text from these inviting and exciting illustrations. Having the text in white spaces along the bottom or on another page would usually seem to separate the text from the pictures, but in this case it allows the two to work in tandem. Because of the business of the colors and patterns used in the illustrations, placing the text in its own simple space draws the eye to the text as well because of the stark contrast. It also makes it easier to read without having it over the busy pictures. Culturally, Abuela blends typical American and Hispanic culture. That is not to say that these cultures cannot coexist in a person, but rather that this book shows how they do exist. 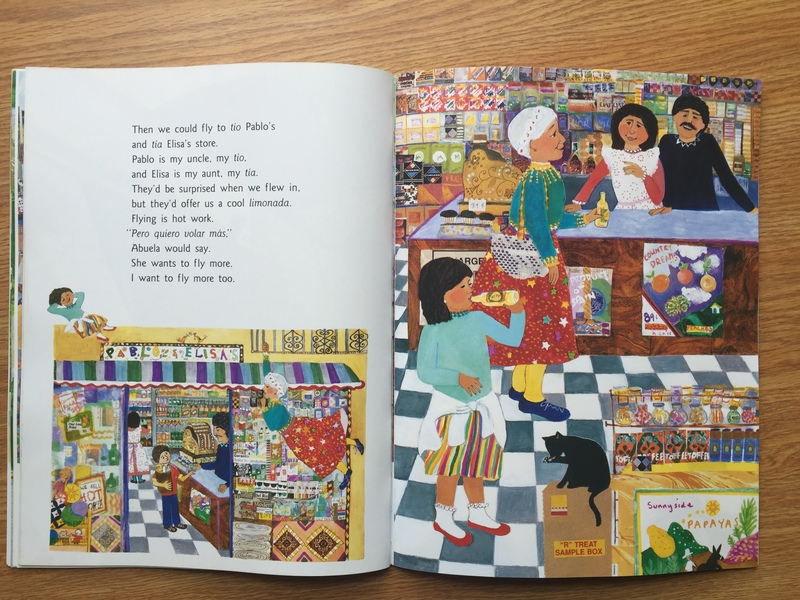 In the book, Rosalba’s abuela uses many Spanish words and then translates them so Rosalba can understand. Culturally, this can reflect the idea that some children growing up in bilingual houses in the United States tend to use and understand English more than the other language. The setting of the book is in New York City, or rather in the air above it as Rosalba and her abuela fly to different places. Having the Hispanic culture that Rosalba’s abuela brings to the book take place the most stereotypical American city combines these two cultures to represent Hispanic Americans. This book could be useful to children as a window, mirror, or door depending on what culture they identify themselves with. Overall, this book could be good tool to use in a classroom to help learn simple Spanish words. 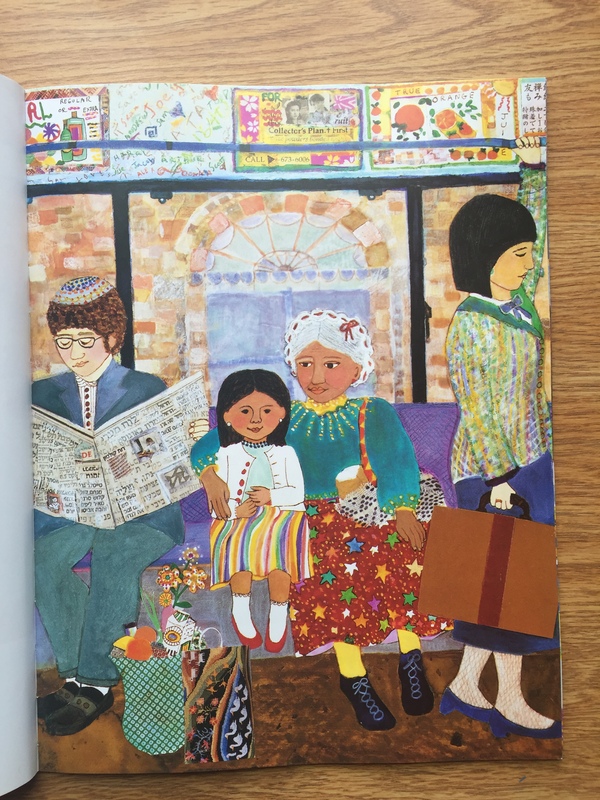 It is also a good book to have to further represent different cultures to cultivate a multicultural classroom experience. I am Mixed is a short picture book centered around two children, Nia and Jay, who are twins. The book depicts the twins with different skin tones and hair color. It starts out with Nia talking about how because she is mixed she is different than most people, even her own brother. Nia goes on to say that she loves who she is and is proud to be mixed. The book then shows Nia with her mother who is telling Nia how much she loves her. The same thing repeats with Jay and their father. 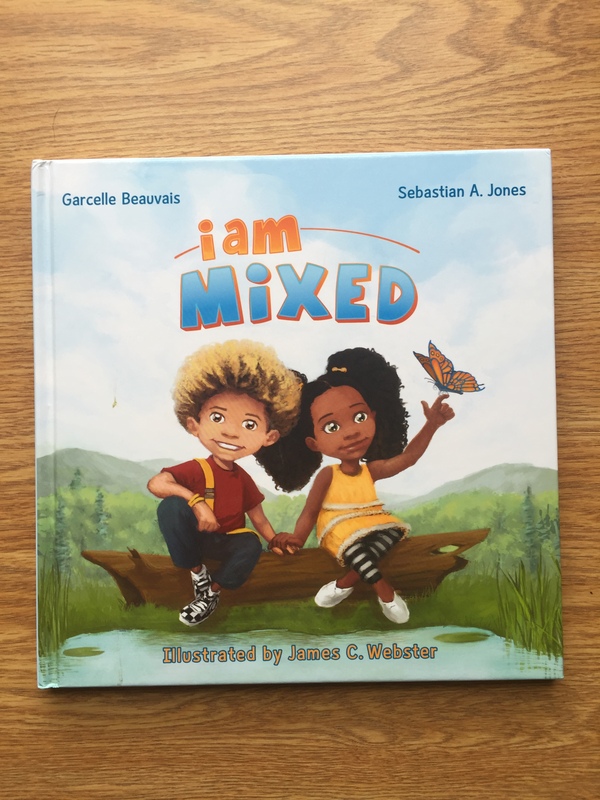 The book ends with the phrase, “I am mixed,” and shows Nia and Jay smiling happily. 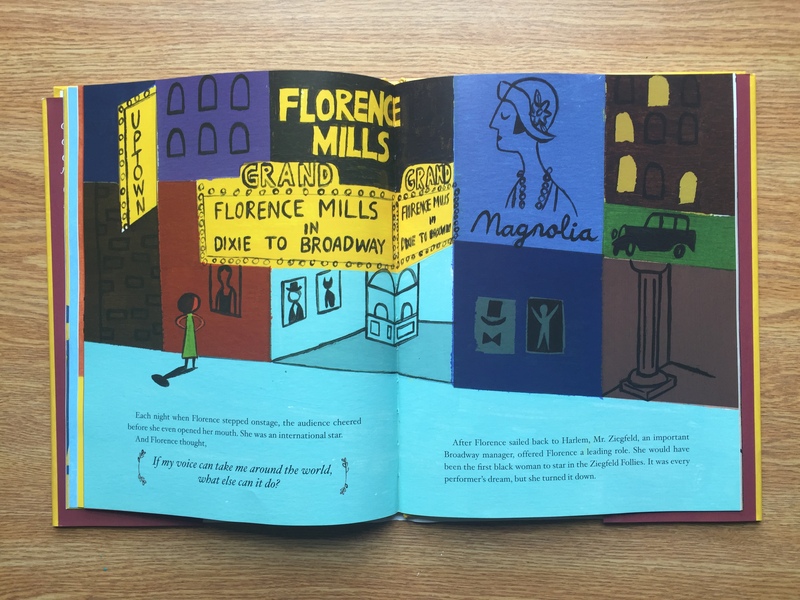 The illustrations in I am Mixed are colorful, bright, and inviting. Throughout the book, there are many pages that contrast with each other and reflect the texts meaning. 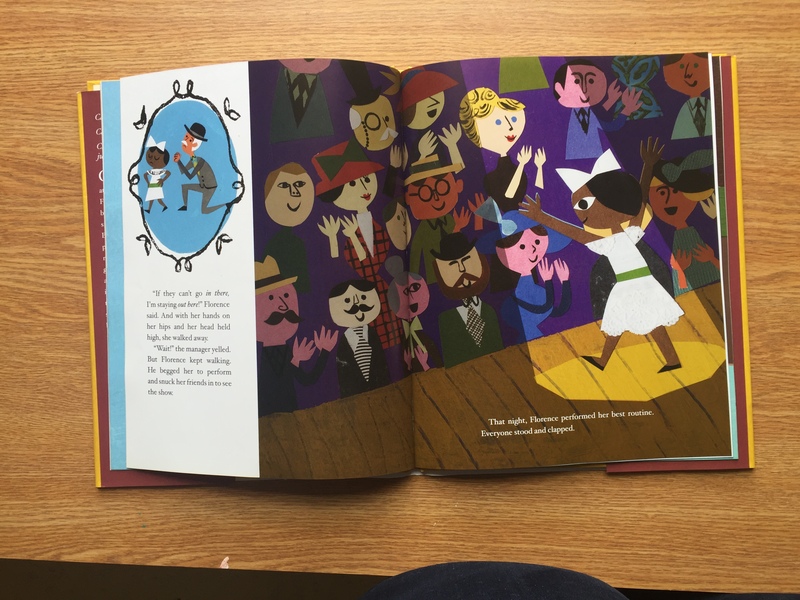 While the texting is talking about the diversity of biracial or multiracial children, the illustrations are representing different cultures. On every page, Nia and Jay are smiling largely and appear to be very happy with their family and their culture. 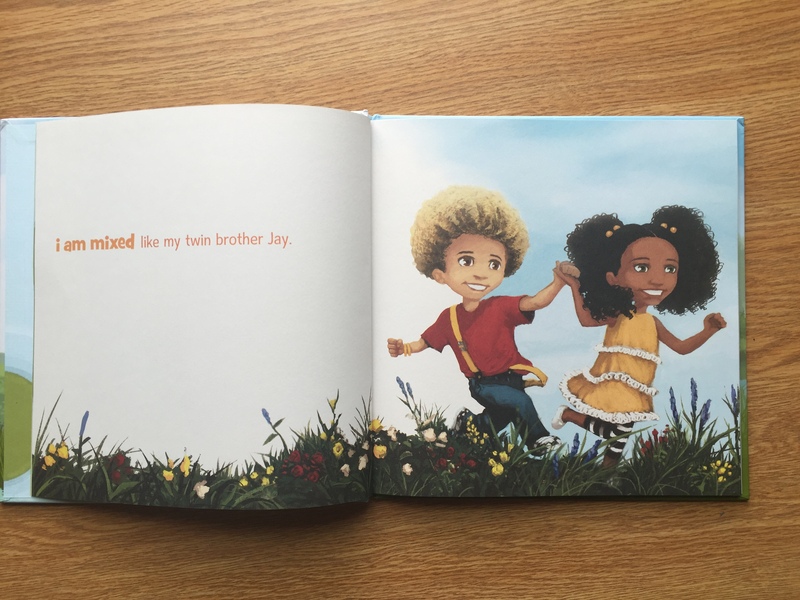 Having the Nia and Jay smile throughout the book shows that this book is geared towards encouraging biracial and multiracial children to be confident in themselves and their culture. While the drawings lean towards being cartoonish and inviting, on several pages, the smiles that Nia and Jay have seem a little unsettling. This may not be picked up by children but as an adult, some of the pictures seem a little too happy for the context. Along with the pictures in the book, the text is very kid friendly and easy to see and read. The text has a short flow to it and physically some words are emphasized through different colors of font. This text is potentially entertaining to children because it rhymes and has little text on each page and draws the attention to the illustrations. 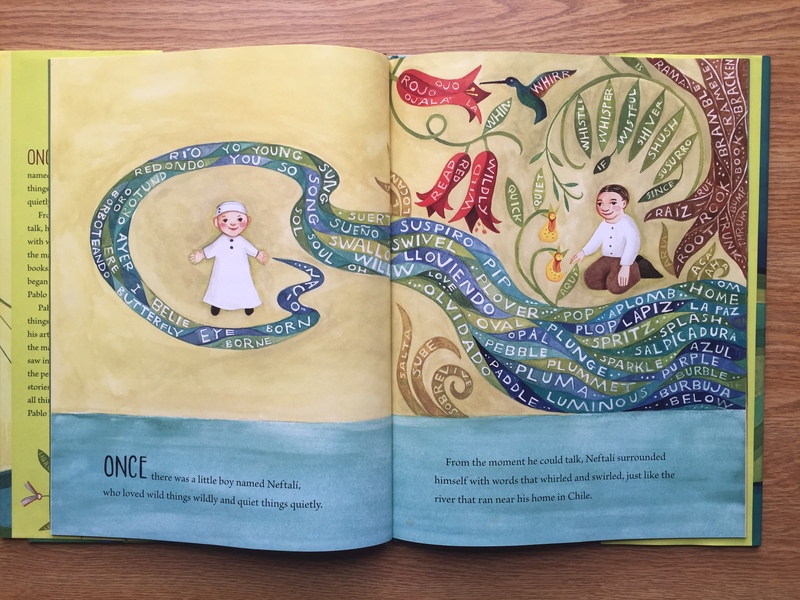 The text and the illustrations work in tandem to create a cohesive story that would be incomplete without the text or illustrations. 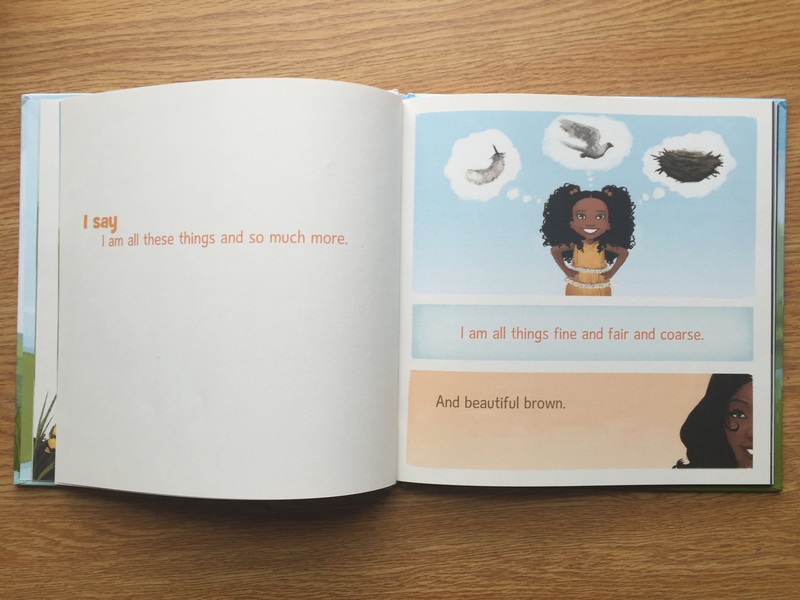 Overall, I am Mixed is a great source of empowerment for biracial and multiracial children. It discusses the experience of biracial and multiracial children in school and in their family lives. This book can serve as positive representation for biracial and multiracial children. It can also help non-biracial children learn about biracial children and the cut down on common stereotypes biracial and multiracial children face. The Keeping Quilt is a Sydney Taylor award winner. 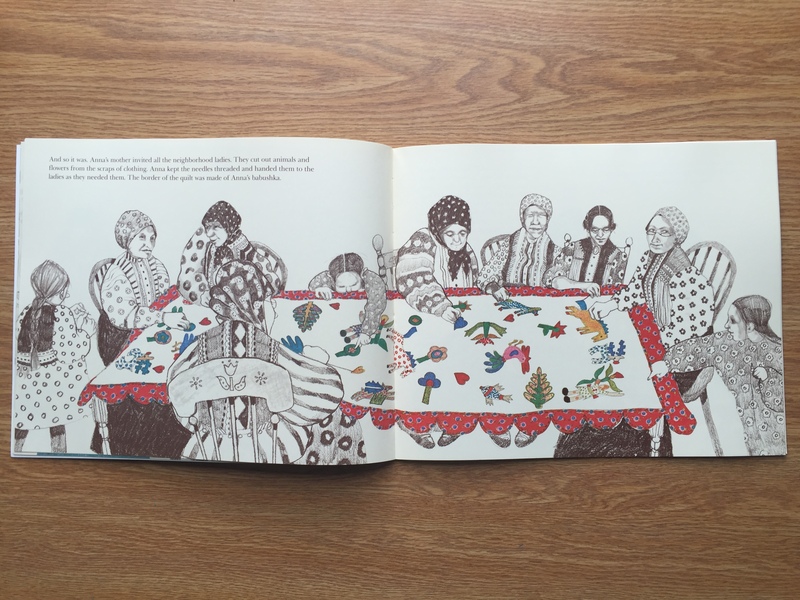 This book is about the tradition in a Jewish Russian family and the quilt they have passed down for generations. It begins with the narrator talking about her Grandmother coming to America as a young girl and only having a dress and a babushka from Russia to remember it. Eventually, she outgrows her dress so her mother helps her turn it into a quilt. The story goes on to show how the quilt has been used for many different things in the family, and has eventually made its way down to the narrator who wishes to one day pass it on to her daughter. Illustratively, this book is masterfully created. 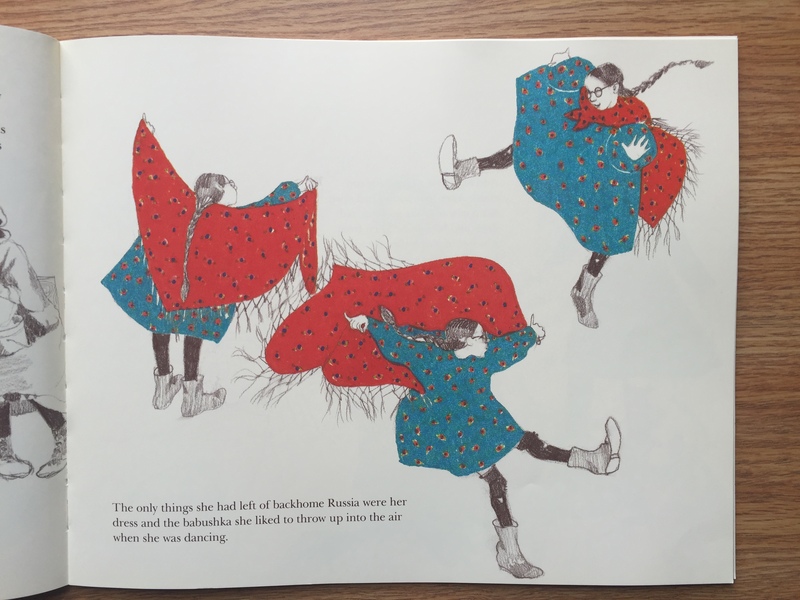 In the illustrations, the only thing with color is the quilt. Before the quilt is made, the babushka and dress that will eventually be turned into the quilt have color as well. Having only the quilt colored further reinforces the significance of the quilt to this family. Because the quilt is the central focus for the story, having it the only thing colored draws the eye to it and allows it to be the main focus even if there is a lot going on in the picture. The color of things that are not the quilt is important as well. Instead of having the quilt being the only thing colored in a greyscale world would make it seem like the quilt is the only source of warmth in the story. Instead, the illustrations depict the scenes in sepia tones, which add softness and warmth to the pictures. In the story, the quilt is a source of warmth and feelings of love, but having the other images in the story done in warmer tones reinforces that the quilt symbolizes this because that’s what the family has made of it. 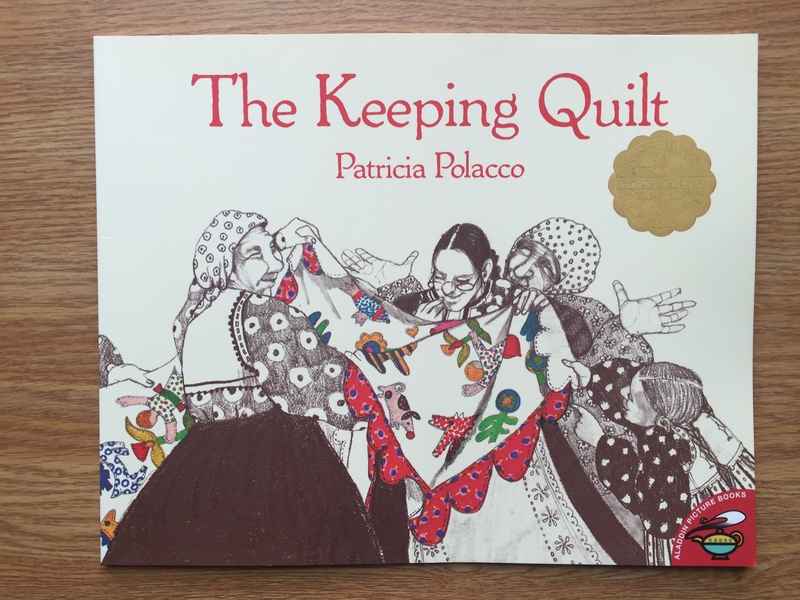 Overall, The Keeping Quilt is a heartwarming story that represents both Russian and Jewish culture. Through the repetition of the weddings depicted in the story, the reader can see that even though there are changes that have been taking place in the world, family traditions can be modified and still stand strongly. Pablo Neruda: Poet of the People is a recipient of the Américas Books Award. 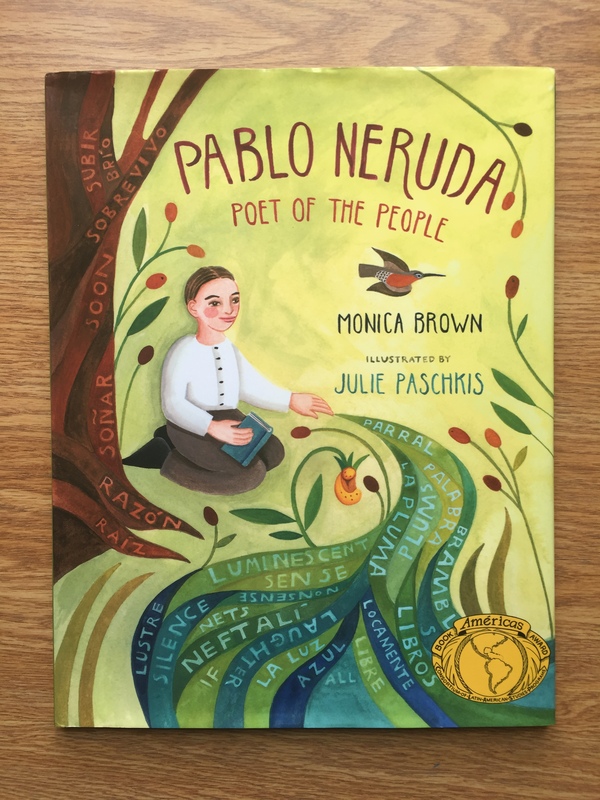 This book is a picturebook about Pablo Neruda, originally named Neftalí, and his experiences in Chile. In the beginning, it shows Neftalís initial interest in the nature he experiences in Chile. The book then walks through Neftalí’s schooling and the change of his name from Neftalí to Pablo Neruda. As he grows older, Neruda becomes interested in social justice and speaking out against many injustices he sees in the world. Neruda was both an advocate and a poet and often times these two sides of him worked together. The book clearly illustrates just how Neruda was truly a poet for the people. The importance of text placement in Pablo Neruda: Poet of the People goes beyond the initial body of text in the book. 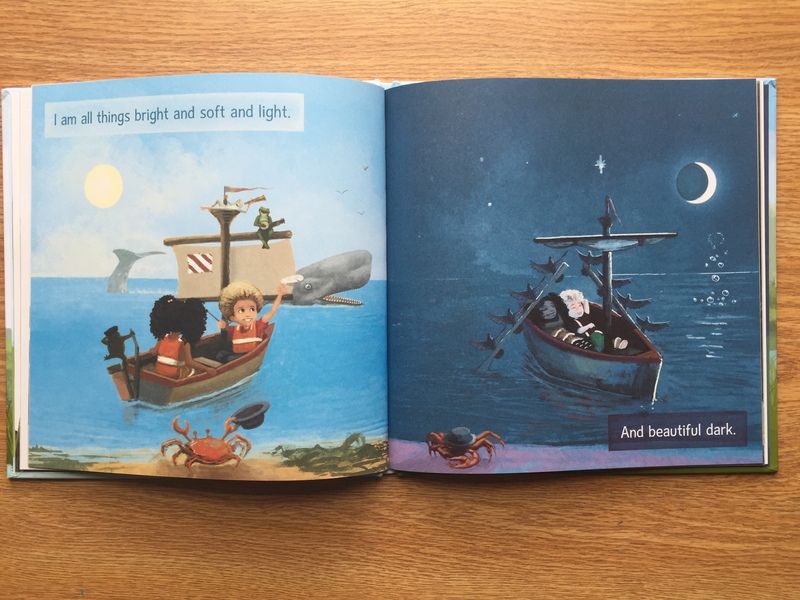 While the story text has short simple sentences which are easy for children to read, there is also text and words placed amongst the illustrations. 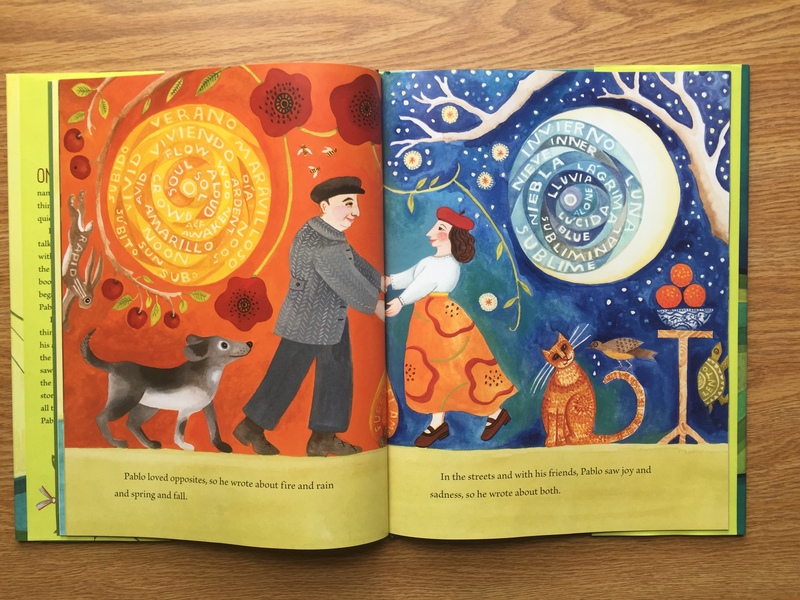 Neruda’s inspiration was from the world around him, and the illustrations do an excellent job to reflect that. Without the words in the illustrations, the illustrations would be bright, colorful, and reflect what was written in the text. 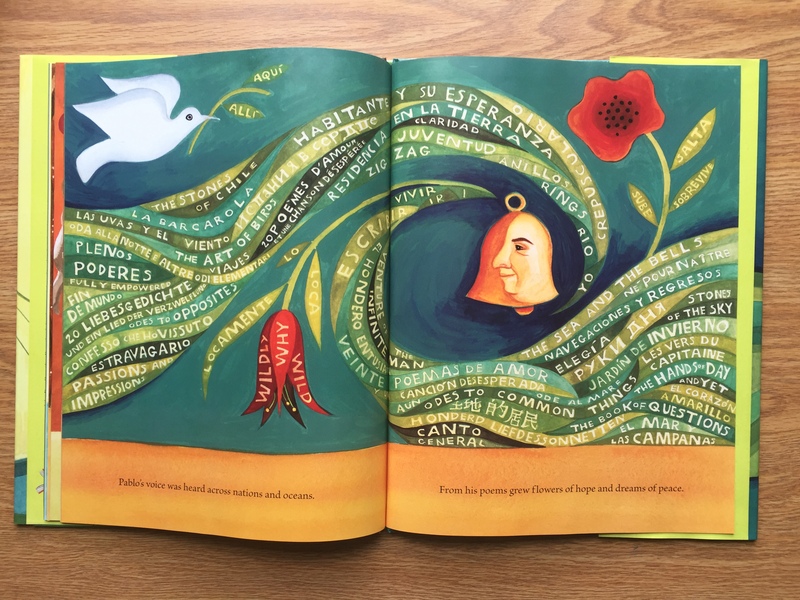 Overlaying words on the illustrations allows the reader to see what it was like living in Neruda’s world. The story text itself is at the bottom over plain backgrounds and is easy to read. The short sentences of the text gives children the chance to read the book for themselves because of the simple sentence structures. The simple sentences also gives the text an easy flow. Although this book would not be considered poetry, there is a sort of poetic flow to the text. Overall, this book allows readers to not only be informed about Pablo Neruda’s life, but also experience the world through Neruda’s eyes. Ideologically, this book sends the message of advocating for social justice and using talents to help others. This book is a good tool to use in a classroom because it combines poetry, history, and social events. The drawings invite children to be interested, and the story gives children a more cultured historical understanding. 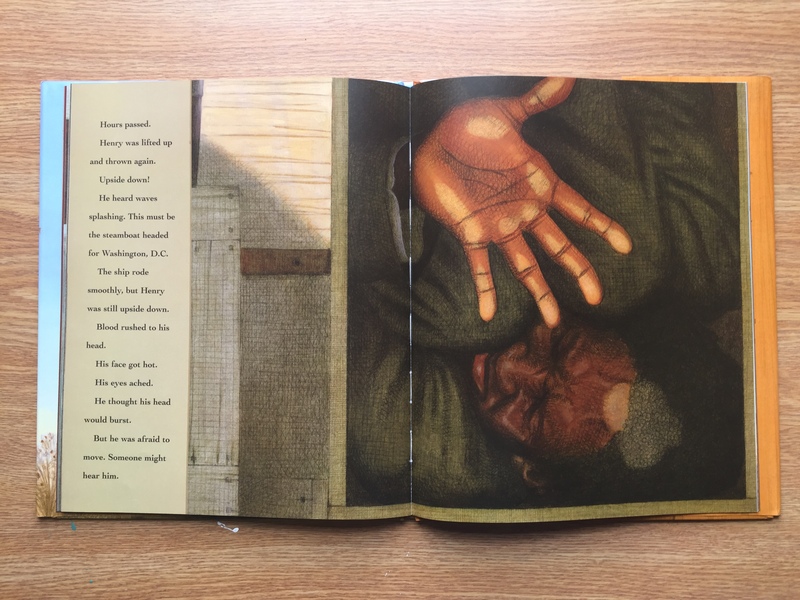 Henry’s Freedom Box is the recipient of a Caldecott Honors. 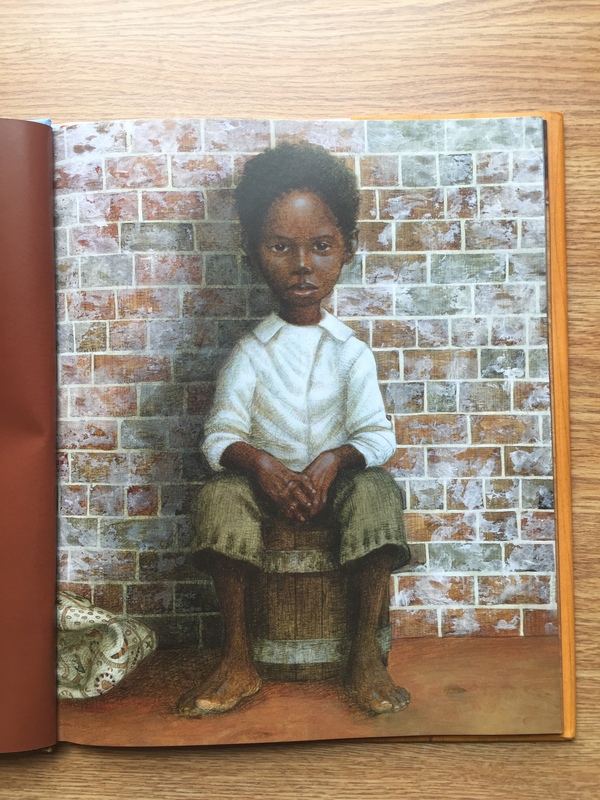 This book tells the story of Henry “BOX” Brown. Henry is a slave and as a child his master sends him to work for his master’s son. While working in a factory for his new boss, Henry meets Nancy, another slave who is owned by a different master. Their masters allow them to get married and they end up having three children. Unfortunately, Nancy’s master runs out of money and sells her and her children. They are carted off before Henry gets to say a proper goodbye and he is heartbroken. Henry goes on to meet Dr. Smith who helps Henry escape by shipping him to Philadelphia in a box. Henry gets shipped, and is free in Philadelphia. 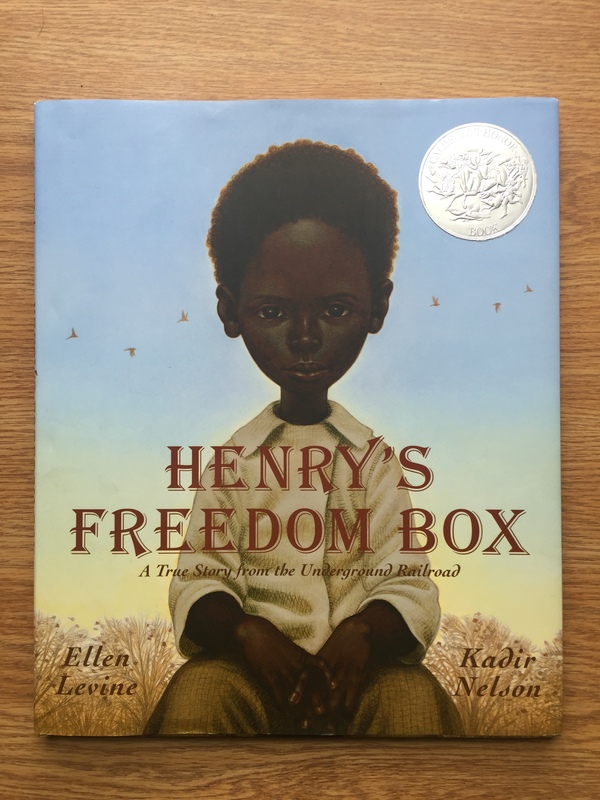 The story of Henry’s Freedom Box has the potential to be very influential to a classroom. It is sometimes difficult to find a historical book about slavery that does not shy away from the horrors of the time, but this book stays historically accurate. The illustrations in this book add to the historical accuracy of this book because they are mostly realistic. The illustrations were created by starting with a pencil sketch and applying watercolors and oil paints. This helps creates realistic looking pictures that also have a sketchy texture to them. Having the illustrations look realistic and sketchy at the same time adds depth and interest to the story. Instead of having it look like recreations of photographs, the sketchiness allows for more texture to the drawings where it may not typically be. The text placement is seemingly random, but it is placed to fit with the pictures. The illustrations take up the entire page and add a lot of depth to the story. Because the illustrations take up so much space, the text is sometimes placed off to the side or is placed over a portion of the illustration that is not the main focus. The disruption of the placement of the text from page to page draws the attention of the reader to the illustration as they scan the page to see where the texted is placed. Overall, this book is beautifully crafted and would be an excellent tool to use in a classroom when discussing slavery. 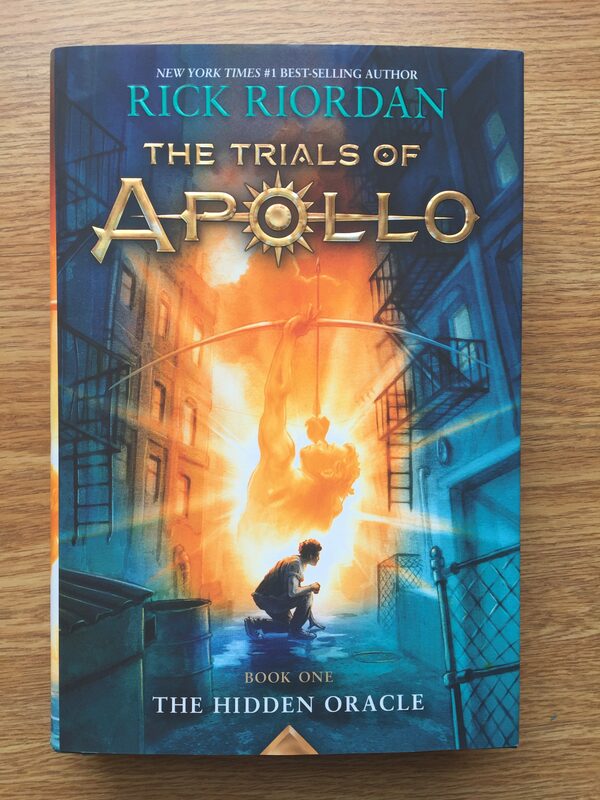 The Trials of Apollo: The Hidden Oracle is the first book in the Rick Riordan’s new series The Trials of Apollo. This is Riordan’s third series in the Percy Jackson universe, the first being Percy Jackson and the second being Heroes of Olympus. These three series are based around the concept that the ancient Greek gods are still around in modern times and are continuing the tradition of creating half human half god children called demigods. These series create a timeline of events, all leading up to The Hidden Oracle. 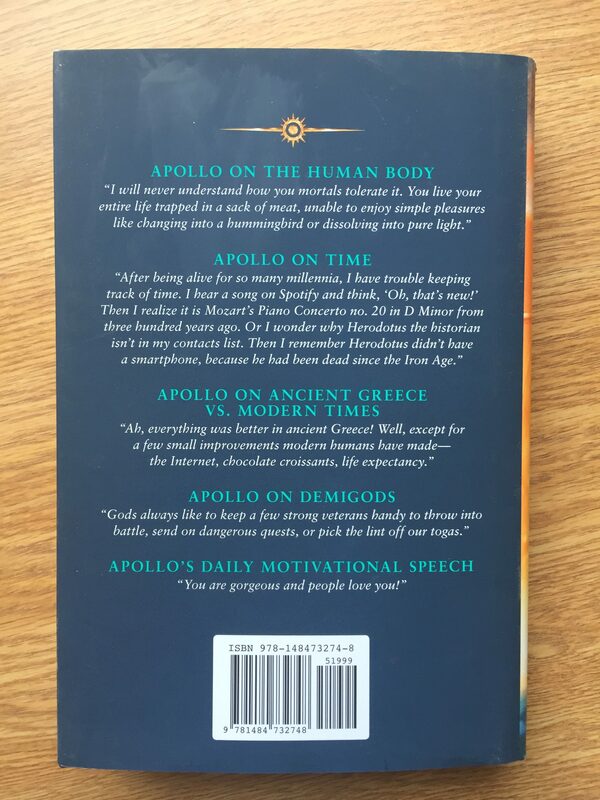 The book takes place from the God Apollo’s perspective. 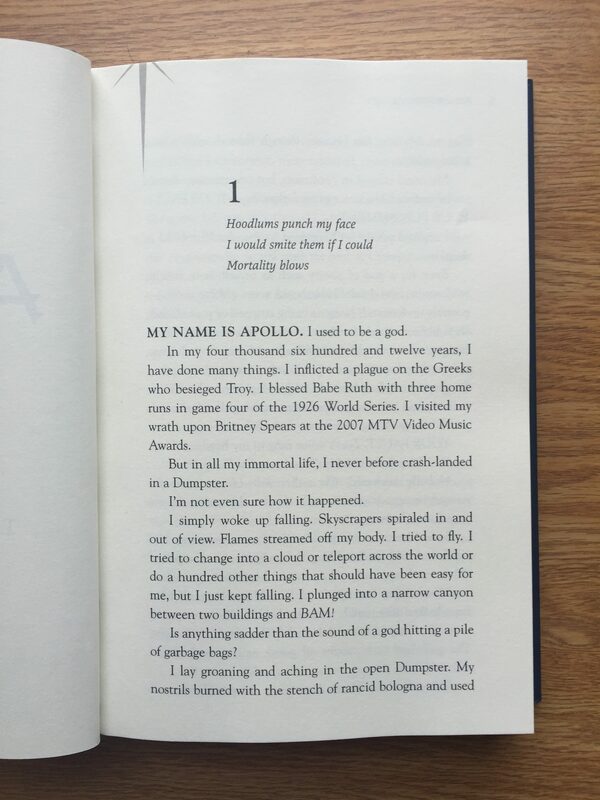 The basic plot of the book is that Apollo is being punished by Zeus and for his punishment he is turned into a mortal teenager. In order to regain his godly status, Apollo must redeem himself in some way. Apollo meets a twelve year old named Meg who becomes his companion and guide on his quest. The book is full of adventure, friendship, and past regrets. This book is not only a great adventure story, but also a great story for representation. Many times in the novel, Apollo is forced to think about the past mortals he has loved. He continually thinks about Hyacinthus and Daphne, two mortal humans he had fallen in love with throughout his years as a god. While they are both influential to Apollo’s emotions throughout the story, they are, more importantly, of the opposite gender. This novel not only creates a fantastical world of adventure, it also brings in a realistic depiction of a protagonist who identifies as bisexual. There are also other characters in the story that are not straight. This novel is an example of diversity in sexual orientation in a novel. Too often, especially in children’s literature, are protagonists only depicted as straight, which can be detrimental to children that do not identify that way. Overall, this book addresses many hard hitting themes like family dynamics, emotional abuse, and grief. This novel is engaging, exciting, and a good source of representation on many different issues. The rest of the Trials of Apollo series will be released over the next couple of years and cannot be spoken for on its depiction of diversity. The Hidden Oracle can be a great source of diversity for many students, and can broaden their world view while being an engaging and adventurous story. 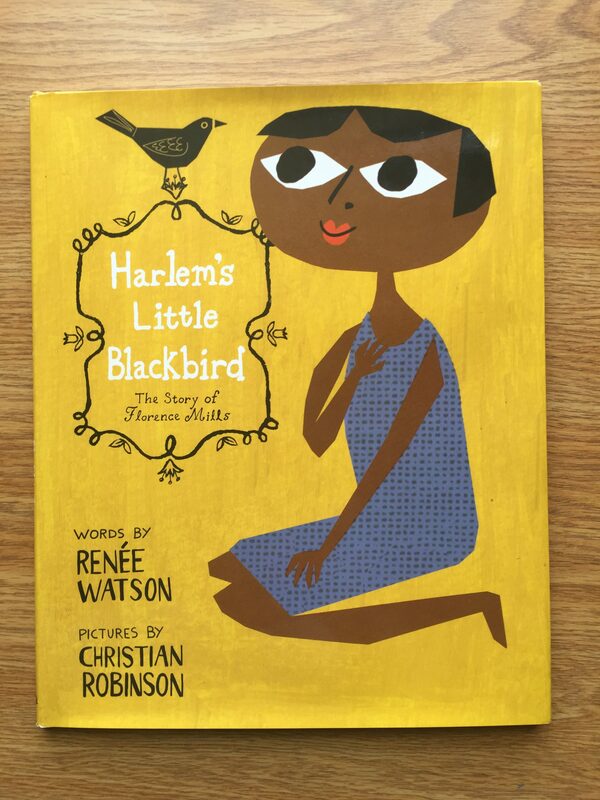 Harlem’s Little Blackbird is the story of singer and performer Florence Mills and her success in a business where black people were not welcome. The story begins in Florence’s childhood home when it is storming. Her mother is singing and says it is the best way to block out the storm. 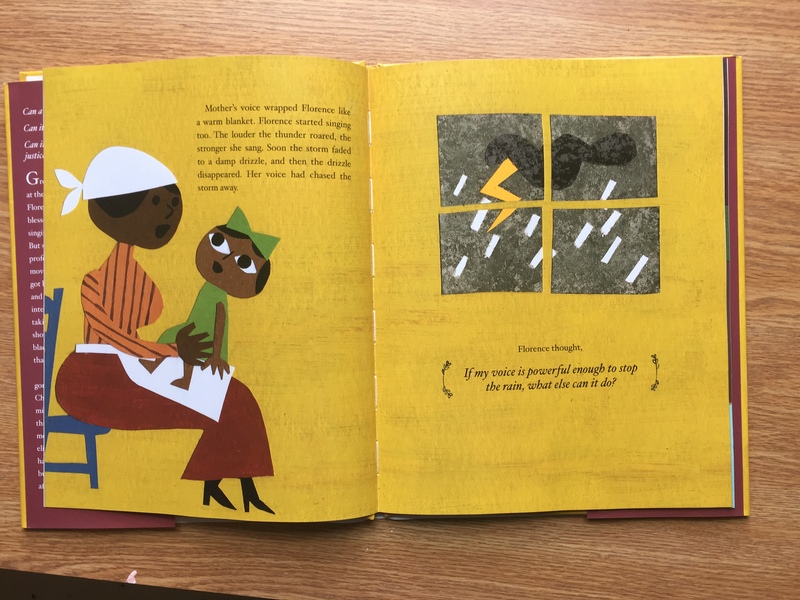 Florence starts singing and when the storm passes she thinks “If my voice is powerful enough to stop the rain, what else can it do?” Florence continues to use her powerful voice and become well known for being a performer and challenging the racial segregation of the time. Florence is not always welcome where she is preforming, but it does not stop her from inspiring change in others through her powerful voice. 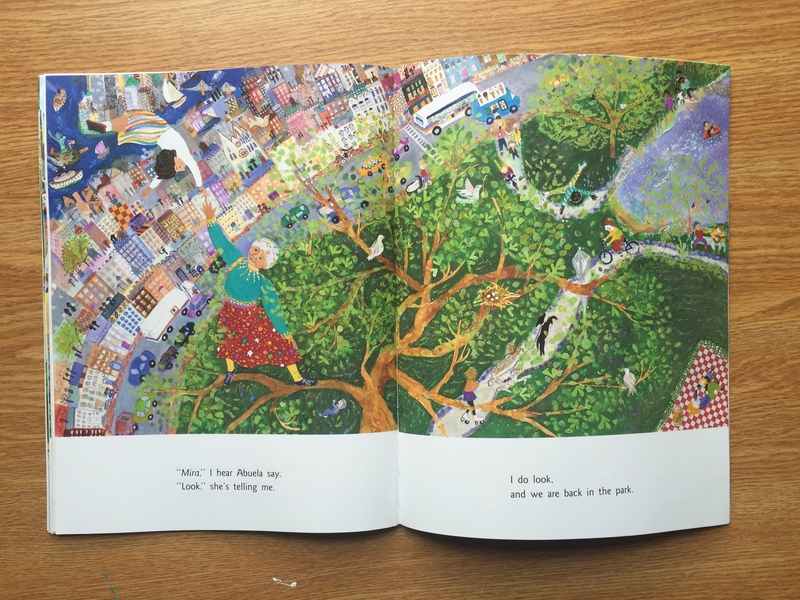 Harlem’s Little Blackbird is a beautiful story that combines illustrations and text to cultivate a unique experience. Twice in the story Florence says a phrase along the lines of “if my voice can do this, what else can it do.” Each time Florence says this it marks a change that is about to happen. The first time she says it she is before she starts singing and preforming for other children and then eventually adults. The second time she says it is before she decides to advocate for change in the way black people were treated in theatre. Each time she says this phrase, the phrase is done in a different font and surrounded by borders which further emphasizes the idea that everyone can make a change if you start small. The ideologies of this story are very beneficial to a classroom. Harlem’s Little Blackbird does not shy away from the problems that Florence faced in her time as a performer. The book blatantly shows that the struggles Florence faced by being a black performer in a society that only valued white people. It depicts how Florence’s family was not allowed in to see her preform when she was a child and that she had to threaten not to preform to get them into the show. This reinforces the idea that at the time, and still today, a lot of media marginalizes a certain group for another group’s entertainment. Overall, this story is a great historical story to read with a class because of its engaging illustrations and important message. Owen is a mouse who has a blanket named Fuzzy. Owen takes Fuzzy everywhere and they do everything together. But as Owen gets older, Fuzzy also gets older, and more dirty. His parents are not sure what they will do when Owen starts school because he cannot take Fuzzy with him. 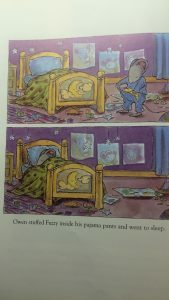 Ms. Tweezers, the neighbor, comes up with all sorts or ideas to help Owen’s parents get rid of Fuzzy. They dip Fuzzy in vinegar, they try to throw Fuzzy away, and they even attempt to get Owen to give Fuzzy to the Blanket Fairy. But Owen doesn’t give Fuzzy up, even when his parents start telling him the word “no.” Finally, his mother decides to cut Fuzzy into handkerchiefs so that it is small enough for Owen to take to school. This story is a mirror for children who have a special bond or attachment to a favorite stuffed animal or toy. Some children outgrow their favorite toy/stuffed animal, but others find it very difficult to say goodbye or leave a toy behind. The story offers a positive way for parents to help their kids transition from the home setting to a school setting. Fuzzy is a yellow blanket. This could symbolize Owen’s happiness when Fuzzy is with him. Yellow also is associated with creating new ideas. Owen and Fuzzy spend their days creating fun and entreating new games. Or the color yellow foreshadows the ideas that Owen’s parents and Ms. Tweezers come with to try to keep Fuzzy away from Owen. It could also foreshadow betrayal. Owen is upset because his parents will not allow him to bring Fuzzy to school. The zoo keeper makes sure to look up all the animals in their cages at night. 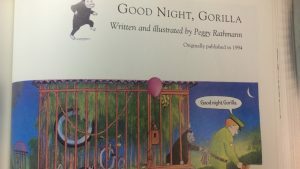 He says goodnight to each of the them, but doesn’t know that the gorilla has stolen the keys and has let all the animals out. After the zoo keeper thinks he’s locked everything, he goes to his house, with the animals following close behind, and goes to sleep. The animals all pile in the room and go to sleep as well and say goodnight. The zoo keeper’s wife turns on the light, sees all the animals, and takes them back to their cages. The gorilla follows her back, climbs into bed and goes to sleep. This book has no words so the pictures narrate the story. The pictures are very colorful and fun, keeping younger children engaged in the book. The pictures have no frames on them so readers are inside the story instead of looking in from the outside. The pictures have a rectangular shape which means that a character is not secure, or in this case, the zoo keeper’s keys are stolen and the cages are all unsecured. 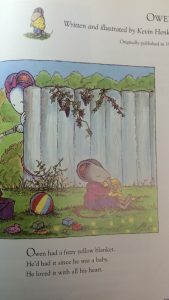 Another fun way to keep children interested in this book, is that a mouse is always present on each of the pages. 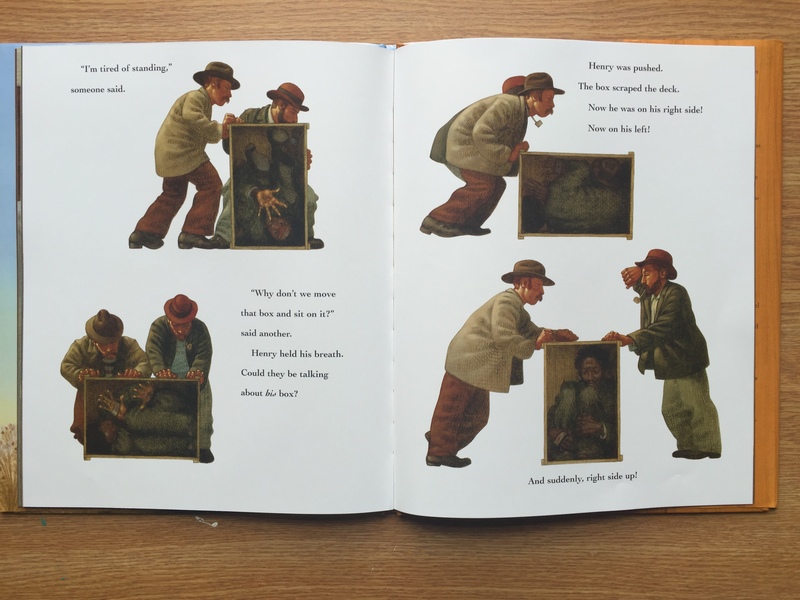 This is a fun way to see if children can find the tiny mouse on every page of the book. Sometimes the mouse is in plain sight, mostly next to the gorilla, but other times, he is hiding and it takes a longer time to find him. This book is a great tool to help children come up with their own different ways of telling this story because the text is missing. The only words mentioned are “good night”. This allows children to challenge their creativity and to feel as if they have all the power because they are telling the story in their own special way. 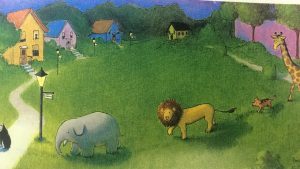 This allows for the story to be read multiple times because the story can still have the same ending, but can be told in multiple ways, according to the way each child would like.